The common man relates filariasis to huge elephantoid limbs (also known as Malabar Leg ) and believes that filariasis is a rare entity. The end stage of filarial lymphoedema is elephantiasis. But many suffer from minor, early, correctable and reversible forms of this disease. 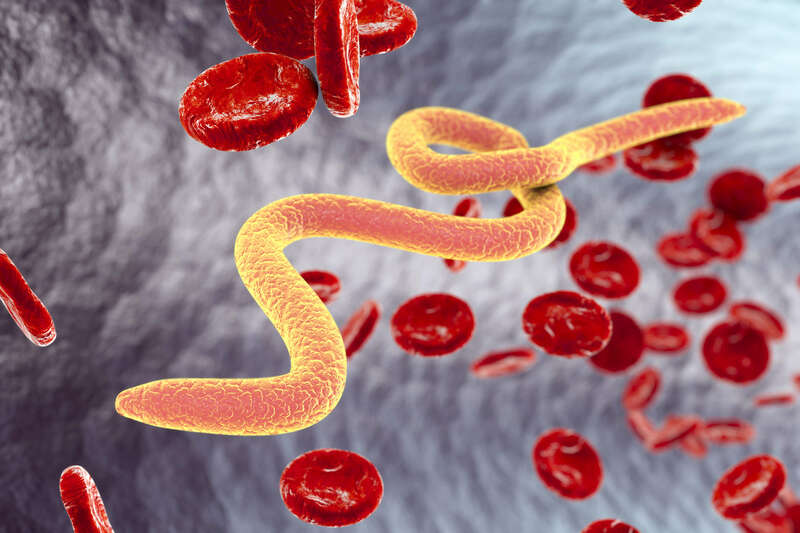 One hundred and twenty million people in the world are infected with lymphatic filarial parasites, and it is estimated that 20 per cent of the world’s population is at risk of acquiring the infection. 90 percent of these infections are caused by Wuchereria Bancrofti. Ultrasonographic and lymphoscintigraphy (isotope test) have made a possible diagnosis of such earlier stages of lymphatic pathology and dysfunction. The prevalence of such lesions are very common in the community. The onset is usually by fever and shivers. The lymphatic channels get inflamed and appear as painful red streaks in the limb. It is called lymphangitis. Dilatation and proliferation of lymphatic endothelium can be identified, and the abnormal lymphatic function can be readily documented by scintigraphy. The lymph glands in the groin are swollen and painful. These episodes are due to secondary bacterial infection along with the entry of microfilaria. The lymphatic pathways get destroyed. The microfilaria circulates in the bloodstream and gets lodged in lymph glands in the abdomen and groin. The acute phase can be very painful and sudden genital pain with fever in males is often due to filariasis. Hydrocoele is the most common clinical manifestation of lymphatic filariasis. In many endemic communities, 40-60% of all adult males have hydrocoele. They have microfilariae circulating in the blood. The mechanism of the fluid accumulation in the hydrocele is still unknown. The localization of adult worms in the lymphatics of the spermatic cord leads to a thickening and pain of the cord structures. The hydrocoeles can become massive. The life-span of the parasite is 4-8 years. The female worms release microfilaria in to circulation. The living microfilaria stays in the alveoli of the lung. Until recently, diagnosis of filarial infection depended on the direct demonstration of the parasite. These circulate in the night time and hence test for microfilaria is done during the night. Circulating filarial antigen (CFA) detection is now regarded as the ‘gold standard’ for diagnosing Wuchereria bancrofti infections. All individuals with microfilaraemia have detectable circulating antigen. In addition, some individuals who appear normal also have detectable circulating antigen that disappears after treatment with DEC. Eosinophilia is a frequent concomitant of all filarial syndromes, and are diagnostically helpful when the levels are extremely high. Ultrasound examination of the lymphatics can reveal rapidly moving (“dancing”) adult worms. Blocked lymphatic channels lead to stagnation of tissue fluids and this appears as ankle oedema. In early phases, the oedema is minimal and reversible. It can be controlled by foot elevation and compression bandage. Repeated stagnation produces hardening of tissues and is called non-pitting oedema. The redundant folds of the skin provide havens for bacteria and fungi to thrive and intermittently penetrate the skin and lead to bacterial infections. Sometimes the skin breaks down and discharges the lymph fluid. The drug DEC is very effective in controlling microfilaria. It is the time tested and the most commonly used drug. Ivermectin and Albendazole are new drugs used for W. Bancroft infection. The role of the human immune defence mechanism is very intriguing. The complications are secondary to such recurrent inflammations. Microfilaria initiate allergic response and raises the eosinophil count. The mast cells in the alveoli are also released which produce cough and wheeze. This is termed ‘tropical eosinophilia’. Here there is enormous immunologic hyper-responsiveness that results in massive hyper-eosinophilia, allergic and other immunologic responses. This response clears them from the blood as they pass through the lungs. Blocked lymphatic channels can be bypassed by connecting lymph nodes to superficial veins. This surgical procedure called nodovenous-shunt reduces oedema. Reduction of elephantoid limbs by surgery is often not effective. Another form of filariasis is Chyluria, where the intestinal lymph leaks into the urine. Fifty percent of patients with filarial infection are clinically asymptomatic and they have microfilariae circulating in their blood. Control of filariasis is focussed not on the individual but on the community with infection. Thus, the goal has been to reduce microfilaraemia and the transmission. Extensive public health campaign has resulted in great reduction of new cases. Prevention of infection can be achieved either by decreasing contact between humans and vectors or by treating the human host who are the source of microfilariae. World Health Organization launched an extremely effective single-dose, once-yearly, 2-drug treatment regimen as a mass treatment to all “at risk” population to decrease microfilariae in the population, thereby interrupting transmission and preventing infection. Contact with infected mosquitoes can be decreased through the use of personal insect repellents or by a prophylactic regimen of DEC.